Designed and crafted with high quality aluminum alloys for a premium rich, full sound. Super taps have been a favorite for teachers, students and performers for over 50 years. 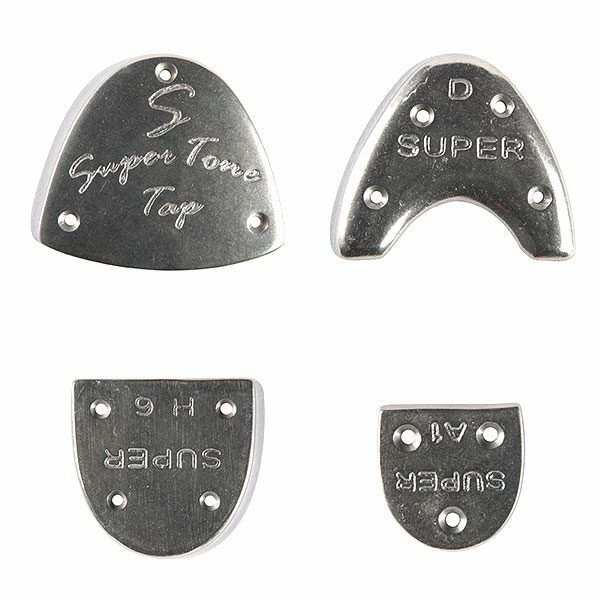 A unique and varied selection of toe and heel sizes will fit virtually all size and shaped tap shoes for both men and women.